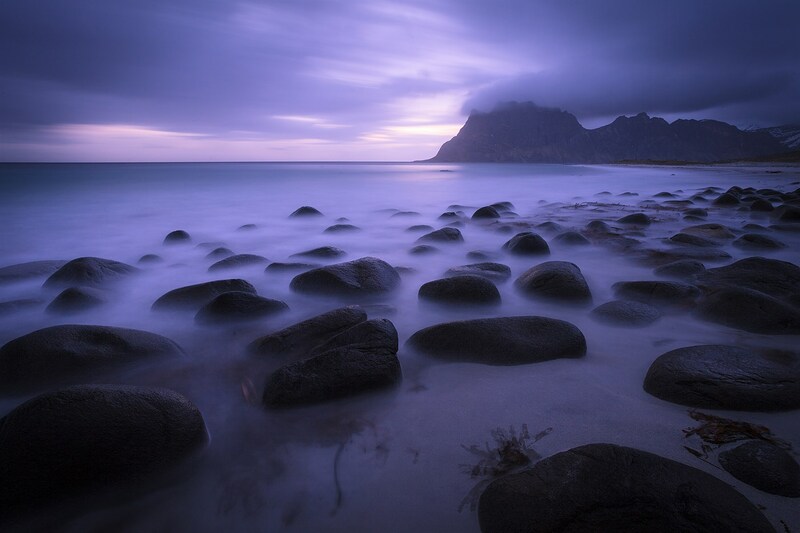 Carribean-like beach Utakleiv allures you to bath during the day thanks to its snow white sand. At night it is an attractive place for photographers. I spent two hours balancing on rounded stones in the middle of the shallow water. This exposure took two minutes.